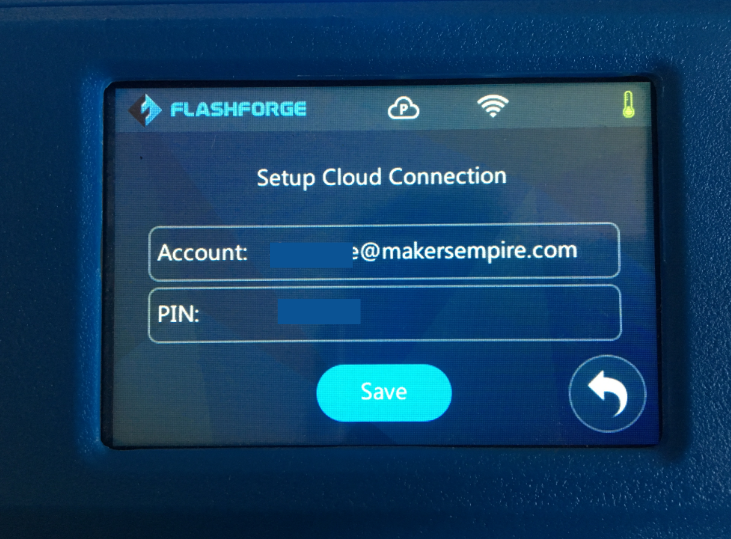 Once you have your FlashForge Inventor IIS 3D Printer set up you can easily connect the 3D printer to the Polar Cloud to print your designs. 3. Navigate back to the Settings page on the Flashforge Inventor IIS touchscreen. 4. 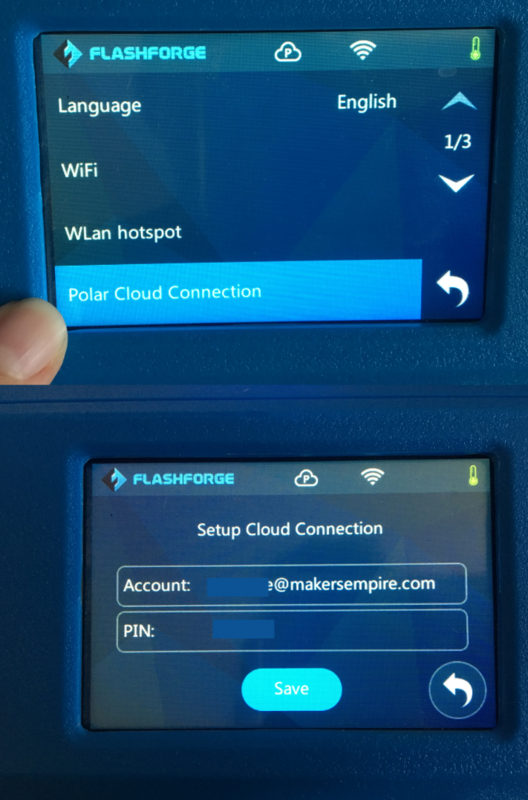 Select the Polar Cloud Connection option and click Setup Polar Cloud Connection. You will then be prompted to enter your Polar Cloud Account and PIN. You can find these by logging in to your Polar Cloud Account (see steps 5-8). 5. 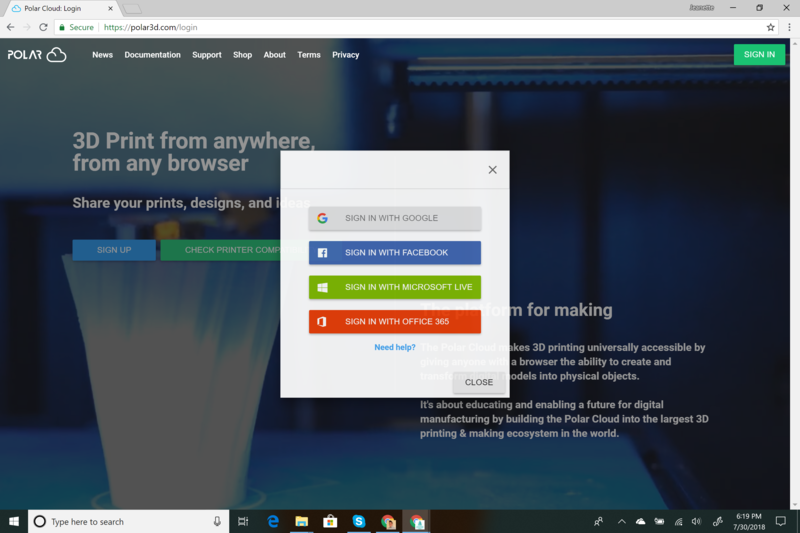 Go to polar3d.com and login to your Polar Cloud account. For help on how to create or login to your Polar Cloud account, go here. 6. Click on the Polar icon in the top right corner of the page and select settings. 7. 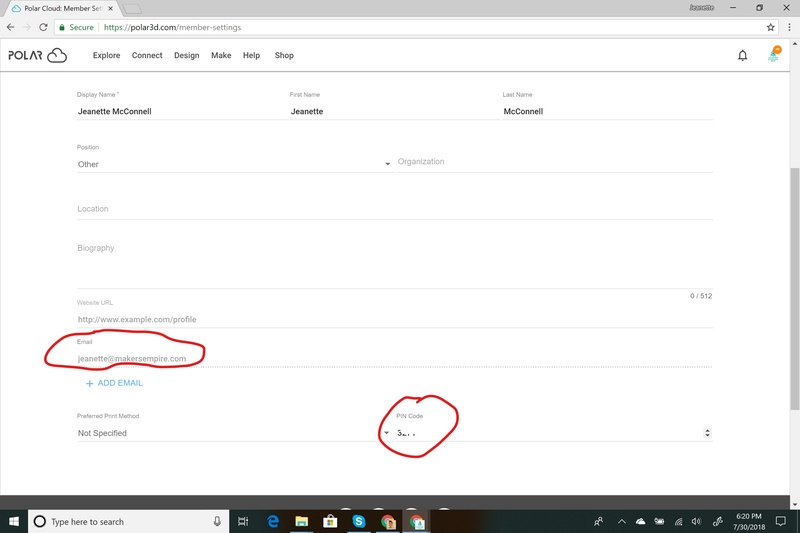 Once on the settings page scroll to the bottom of the page and you will be able to see the email address with is your account and your PIN code. 8. 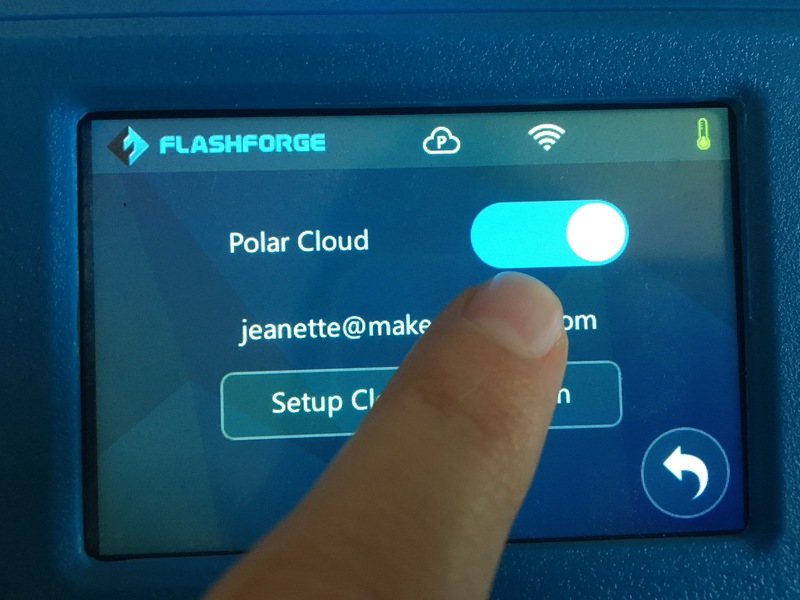 Go back to the printer and enter the email address associated with your Polar Cloud account and your PIN code. 9. Then toggle the Polar Cloud switch on. 10. Go back to your Polar Cloud account on polar3d.com and navigate to the Make tab. Select Printers. 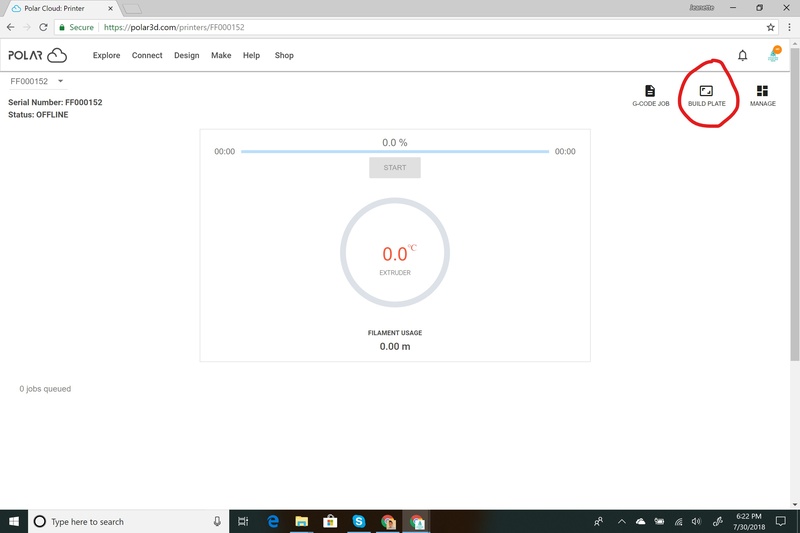 You should now see the Flashforge Inventor IIS you just connected to the Polar Cloud appear on this page. 11. 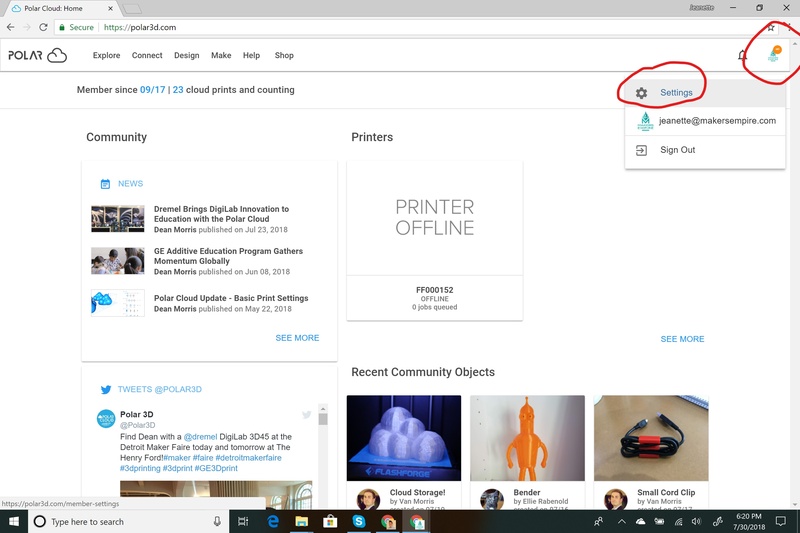 If you click on the printer you will be able to see more details about your printer, including any queued jobs and the temperature of your printer. 12. 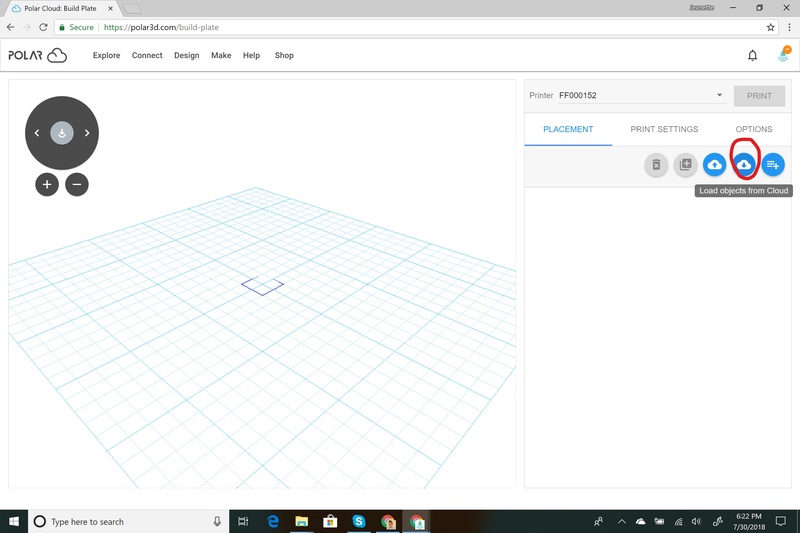 To load prints onto your Flashforge Inventor IIS, click on the Build Place icon in the top right. 13. 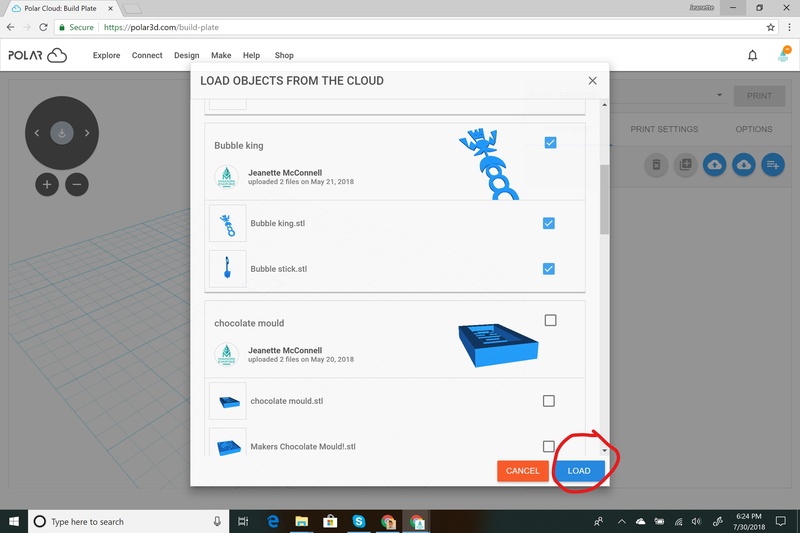 Then click on the Load Objects From Cloud icon, select a design(s) from your Polar Cloud objects and click Load. 14. 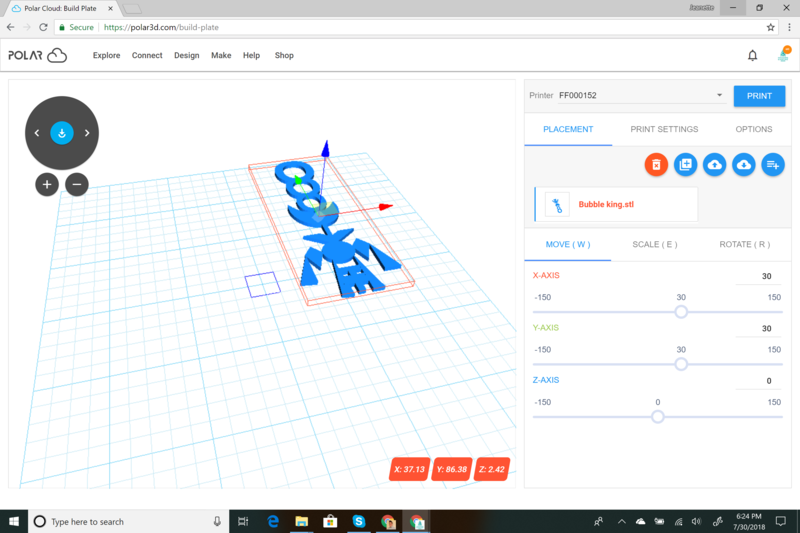 This will load your design onto the screen where you can adjust its size and positioning before you click Print!